It’s 2018 General Election time on Salt Spring Island, the Gulf Islands and over much of British Columbia. Our Election Profiles series on the Salt Spring Exchange features candidates who are running for local office. These short interviews are structured so that you can learn about each of the candidates and why you might consider voting for them. 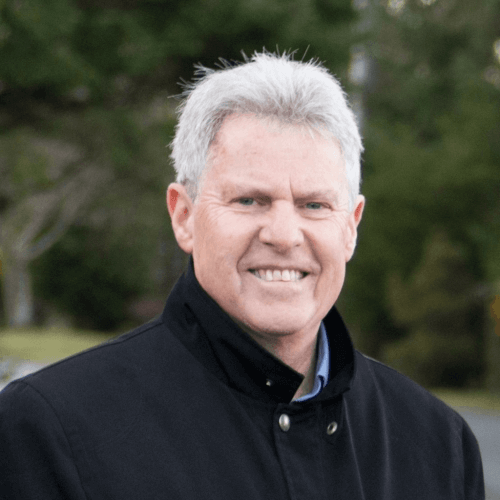 This featured local election people profile is for Gary Holman. I bought land on SSI in 1978 and have lived in the Beaver Point area for about 30 years. Upon moving here, I was drawn to community activism, particularly support for the mandate of the Islands Trust and the land trust movement, serving on the Boards of the SSI Conservancy and The Land Conservancy of BC, which then led to community and provincial politics. I have 3 children – Eren, Amber and stepson Owen – and am married to Alicia. I’m a consulting economist by profession and was fortunate to have worked on projects like the provincial land and resource management planning process that doubled park land in BC, as well as the Nisga’a Treaty. I am honoured to have served as SSI’s CRD Director for two terms (2002-08) and as MLA for Saanich North and the Islands (2013-17). Even as a much younger man, I wanted to own land. After a brief stint in the BC civil service (where I was a round peg in a square hole or was it vice versa), I bought a small sailboat and began looking for land on the south coast. I sold my sailboat when I discovered and purchased land on Salt Spring. The land brought me to SSI, and the nature of the place and the community, where odd folks such as myself could feel accepted and part of something bigger than just my own internal drama, kept me here. Use our community bus to tour the island. More concentrated development patterns, in and around villages (like traditional Britain), rather than spread all over the island with hundreds of kilometres of roads through drinking watersheds and ecologically sensitive areas. Tommy Douglas (who used to be our MP when our federal riding was configured differently). What do you think the number one community issue on Salt Spring Island is right now? Affordable housing and related water supply constraints. There has been a lot of attention on affordable housing issues on Salt Spring Island recently. What would you do to address the affordable housing crisis right now? Top priority would be to complete the 7 affordable housing projects already underway, all with land secured, representing over 250 units of affordable housing. Ensure a stronger CRD role in addressing housing-related water supply constraints. Provide more CRD support for our SSI Housing Council. Advocate for a bylaw enforcement policy that proactively addresses illegal short term vacation rentals (STVRs) and puts “unconventional” housing situations that do not pose a significant health and safety risk at the bottom of the pile. Advocate for legalization of suites and cottages in or near villages and existing bus routes, subject to conditions to better ensure they will be used for affordable housing. Develop secure housing for the homeless. Work with the business community and CRD Community Economic Development Commission to develop workforce housing. For 30 years, as a community activist, former CRD Director and MLA, I’ve worked with volunteers, community groups and governments of all political stripes to preserve and protect the special nature of this place and improve important amenities. I have played a role in a number of Salt Spring’s successes such as the protection of Burgoyne Bay and Grace Islet, initiating our first public transit service, establishing the Cedars transition housing for women, securing CRD Housing Trust funding for Murakami Gardens, building our indoor swimming pool, acquiring land for our library and liquid waste disposal site, opting SSI into the Islands Trust Conservancy’s property tax incentive for private land protection, and upgrading Lady Minto Hospital and a number of water and sewage treatment facilities. Experience and proven leadership matters. What are some things we might not know about you and the CRD? Salt Spring taxpayers could save at least $330,000 per year in trucking costs if we could safely dispose of our liquid waste (95% water) at CRD’s 18 acre site in Burgoyne Bay. This site was acquired through an innovative partnership between CRD and BC Parks, with funding from the Paul Allen Foundation that Gary helped secure as a Board member of The Land Conservancy of BC. The NAPTEP program which provides up to a 65% property tax reduction for private land conservation, is unique to the Trust area. NAPTEP currently protects 700 acres on Salt Spring, in return for which the owners of these lands receive an annual property tax reduction. Salt Spring Community Services receives about $240,000 per year from the CRD to provide free residential recycling here. As former CRD Director and MLA, Gary has helped ensure our recycling service remains in community hands and receives adequate funding. Over 6,500 acres on Salt Spring have been protected since 2001, including hundreds of acres acquired by CRD Parks. As a Board member of The Land Conservancy of BC and the Salt Spring Conservancy, and co-founder of the Southwest Salt Spring Conservation Partnership, Gary played a key role in the protection of some of these special areas such as Burgoyne Bay and Ford Lake. As CRD Director, Gary opted SSI into the CRD’s Housing Trust Fund. Since then, SSI has received about three times the funding for affordable housing projects from Fund than it has contributed. Murakami Gardens was the first of several projects funded by the CRD HTF which Gary also helped to secure. Since 2001, aside from park land acquisition, the CRD has purchased two important parcels of private land – 18 acres in the Burgoyne Valley for our liquid waste disposal site (see above), and the McColl property in Ganges for construction of the library. As CRD Director, Gary was instrumental in the acquisition of both parcels. Gary was the first CRD Director to begin regularly attending the town hall portion of the SSI Local Trust Committee meetings and to hold joint CRD-Islands Trust budget meetings. Included in the ten successful voter assent processes Gary initiated on Salt Spring during his term as CRD Director, was approval of local taxpayer support for the Community Arts Council, Search and Rescue, and maintenance and operation of the Artspring facility. The average taxpayer cost of SSI’s public transit system, which Gary established in 2007 and has expanded several times since then, is about $2 per month, per household. This compares to a taxpayer cost of almost $12/month, per household in the rest of the Greater Victoria transit system. Salt Spring also does not pay the 5.5 cents per litre transit fuel tax paid in Greater Victoria because Gary secured approval from the CRD Board and Greater Victoria Transit to establish SSI as a stand-alone system. The CRD Transportation Commission Gary established in 2007 is still unique in unincorporated areas of BC. Through the Transportation Commission and Island Pathway innovative Partners Creating Pathways program, about $1 million in pathways have been built at a local taxpayer cost of about $250,000. Editor’s Note: The 2018 General Local Election is scheduled for Saturday October 20, 2018. On Salt Spring this year voting will be conducted for the Capital Regional District Electoral Area Directors, Islands Trust Trustees and School District Trustees. The Salt Spring Exchange will be covering all election news and results again this year. Be prepared to vote, make sure you’re registered with BC Elections.